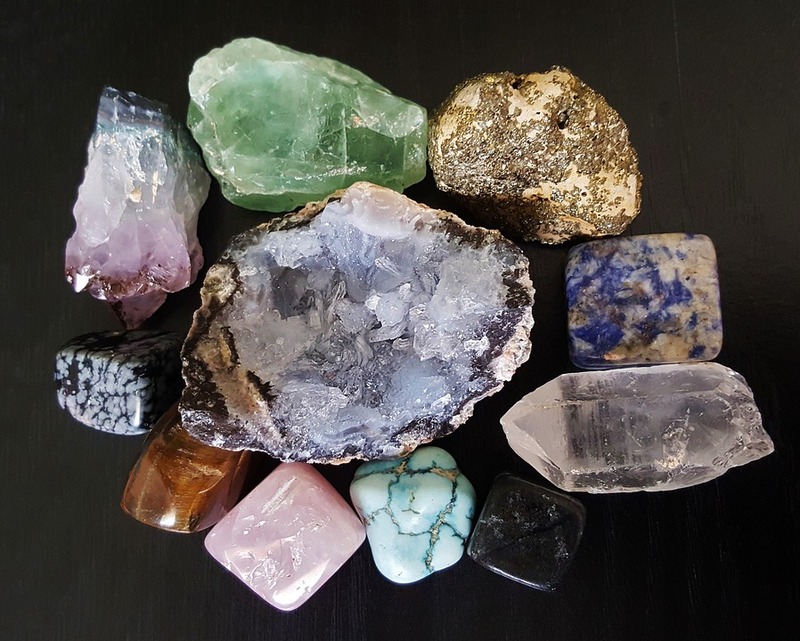 History has seen some beautiful stories that center around unique and special love rings. 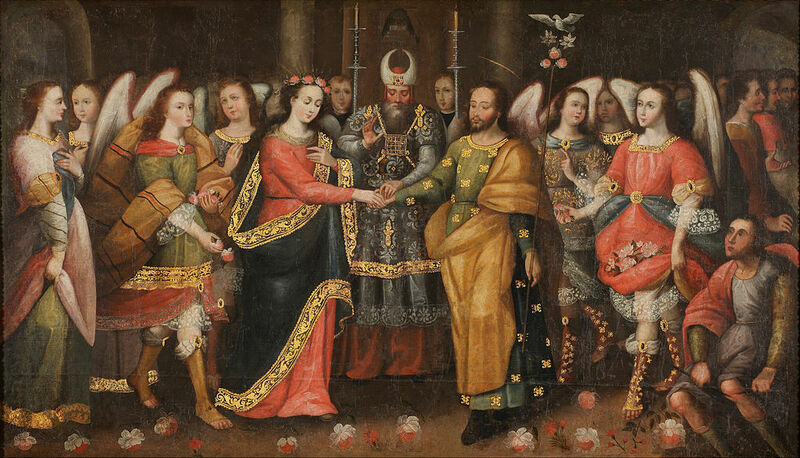 Love rings used in art as seen in the painting The Marriage of the Virgin (c. 1680). Clovis I (c. 466-511 A.D.) is known for his unification of the Frankish nation, his conquest of Gaul, and his famous conversion to the Roman Catholic religion. His wife Clothilde, now venerated as the saint of brides, was instrumental to her husband’s conversion and, in her later years, was known for her charity. 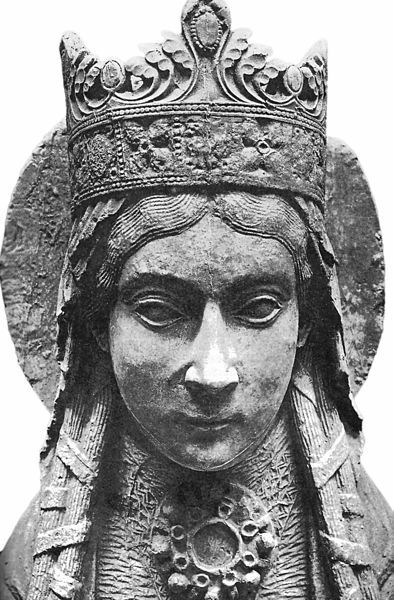 A 12th century sculpture of Saint Clothilde. 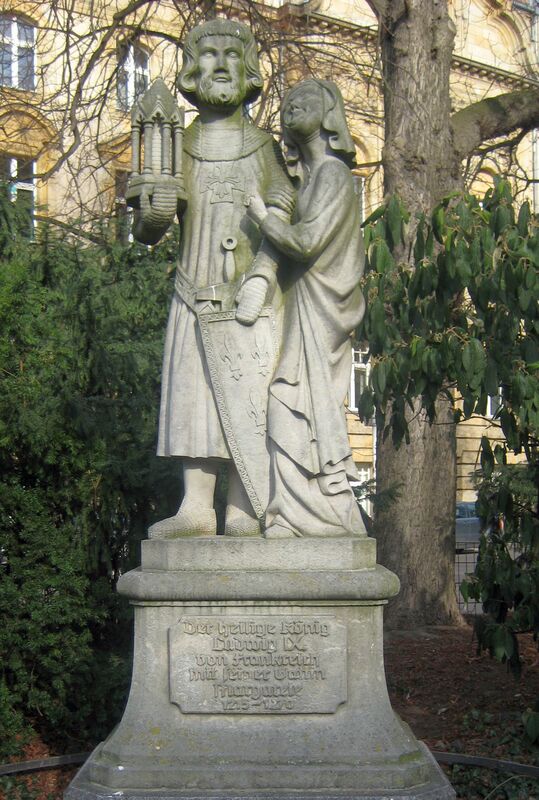 Statue of King Louis IX of France and Queen Marguerite on Ludwigkirchplatz in Berlin-Wilmersdorf. A rebus is a puzzle in which the syllables of words and names are represented either by pictures or letters of things that sound the same. Rebus or cipher rings were enormously popular in Victorian England. Perhaps this tradition began in 1234 when King Louis IX of France wed Marguerite of Provence. To celebrate their marriage, the King commissioned a special ring. The outside of the ring was decorated with a garland of entwined daisies and lilies. The daisies symbolized his wife (“marguerite” is French for daisy) and lilies (fleurs de lis) symbolized Louis’ kingdom. On the inside of the ring, the motto “This ring contains all I love” was inscribed. 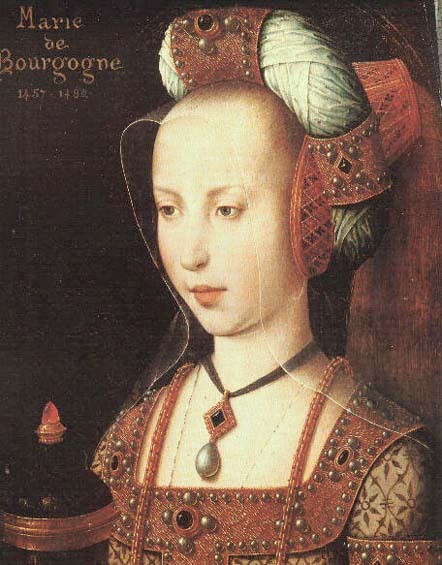 Portrait of Mary of Burgundy. Although the marriage was arranged because of Mary’s sizable fortune, the couple was apparently happy together until Mary died at age 25 as the result of a horseback riding accident. 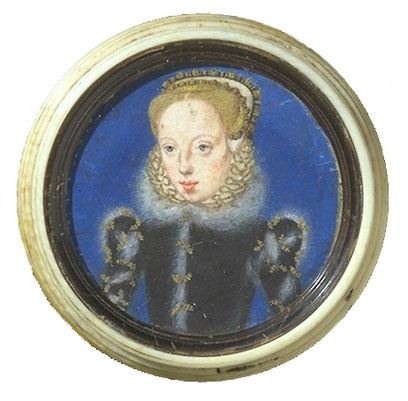 A portrait of Mary in 1544. The smallest betrothal ring on record was given to a two-year old toddler, Princess Mary, daughter of Henry VIII and his first wife Katherine of Aragon. 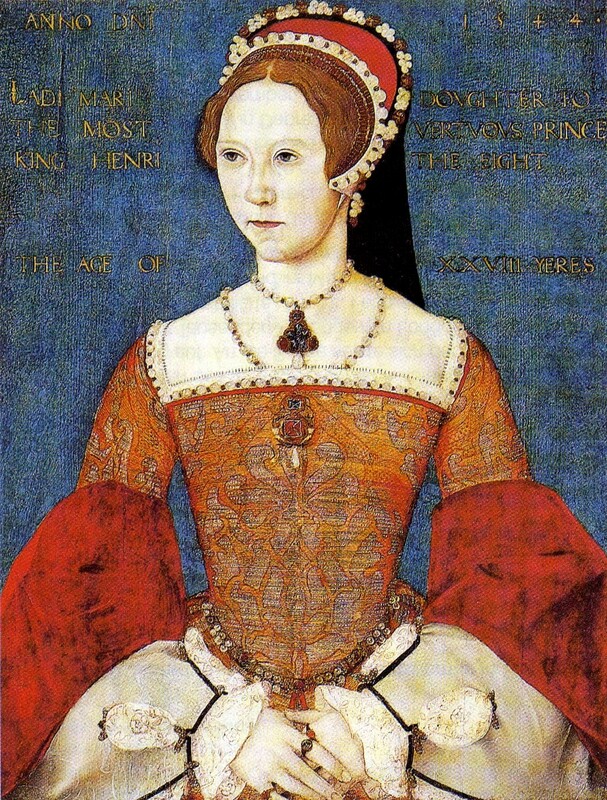 Throughout her childhood, King Henry negotiated several potential marriages for his daughter. In 1518, when she was only two years old, Princess Mary was promised to the Dauphin Francis, son of Francis I, King of France, but after three years, the contract was dissolved. For this event, a tiny gold ring set with a diamond was fitted for Mary’s finger. Portrait of Martin Luther by Lucas Cranach (1529). 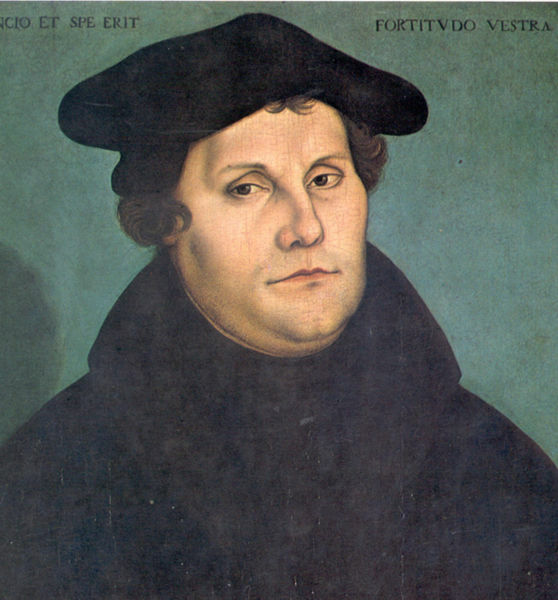 Martin Luther (1483–1546) was a German monk and theologian whose ideas inspired the Protestant Reformation and changed the course of Western civilization. Among other works, he translated the Bible into the vernacular, which made the Scriptures accessible to everyone. 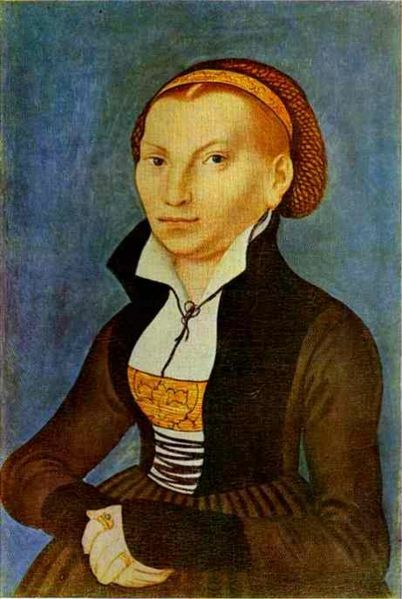 Portrait of Katharina von Bora, wife of Martin Luther, by Lucas Cranach (1526). The couple took up residence in a former Augustinian monastery called “The Black Cloister.” Katharina was a woman of wit and boundless energy. She managed the vast holdings of the monastery, bred cattle, and ran a brewery and a hospital. Luther called her the “Boss of Zulsdorf,” after the name of the farm, and the “Morning star of Wittenberg” for her habits as an early riser. In addition to tending to the lands and grounds of the monastery, Katharina also bore six children and raised four orphans. Lady Catherine Grey (1540-1568) had an unfortunate love life. In 1553, she was married to Henry Herbert, 2nd Earl of Pembroke, in a political match arranged by her parents. During the political turmoil that followed the death of Edward VI, Lady Jane Grey, Catherine’s older sister, was deposed in favor of Mary I of England. As a result, the Earl of Pembroke distanced himself from the Grey family and had his marriage to Catherine annulled. 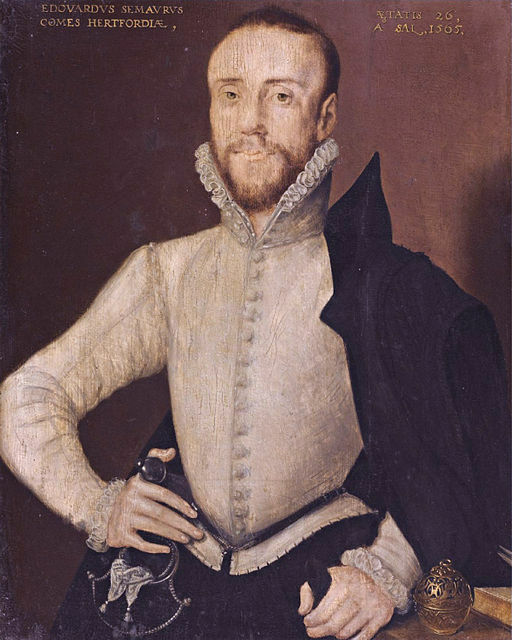 A portrait of Edward Seymour, Earl of Hertford, (1565). During her time at Court, Catherine became friendly with Jane Seymour, niece of Henry VIII’s third wife, also named Jane Seymour. Catherine met Jane’s brother Edward Seymour, the 1st Earl of Hertford, and fell in love with him. Although it was illegal to marry without Queen Elizabeth I’s consent, they secretly wed in 1560. Due to its illicit nature, there was no formal record of the marriage. Apparently, the wedding was conducted at Edward’s house with Jane the only witness. Before he left for the Continent at the bidding of the Queen, Edward provided his wife with a document acknowledging their marriage and her right to his property in the event he died while abroad. In an unfortunate series of events, Catherine lost the document and Jane died of tuberculosis. Catherine, now visibly pregnant, had no means to prove she was married. 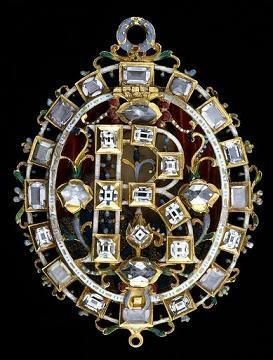 The cover of the Lyte Jewel bears the letters “R” for the Latin Iacobus Rex. Thomas Lyte (1568-1638), a genealogist, would have vanished into obscurity if it were not for his work on one family tree—that of King James I of England. The interior of the Lyte Jewel has a portrait of King James I of England. King James, son of Mary Stuart, Queen of Scotland, advanced to the throne of England in 1603. To stifle political intrigue surrounding his accession as the first Stuart monarch of England, he and his advisors saw an advantage in emphasizing his ancient lineage not only through the Tudor line, but also to the mythical founder and King of all the Britons. Lyte was commissioned to produce the genealogy. 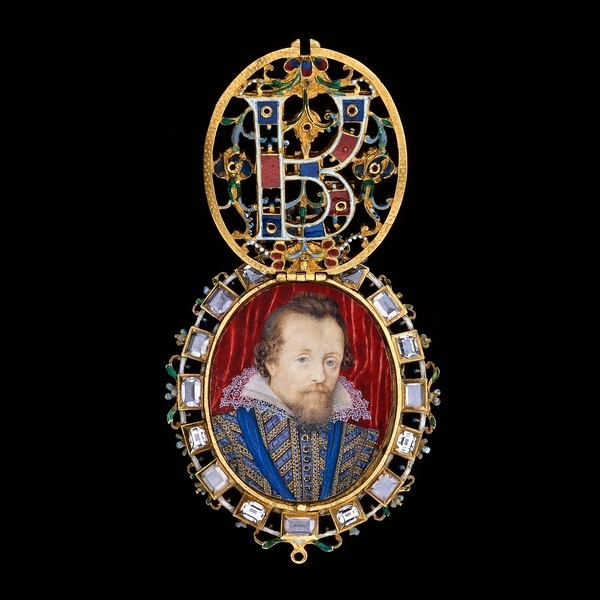 To show his appreciation, King James presented Lyte with an enameled gold locket containing the King’s portrait. A wedding portrait of Queen Victoria and Prince Albert. 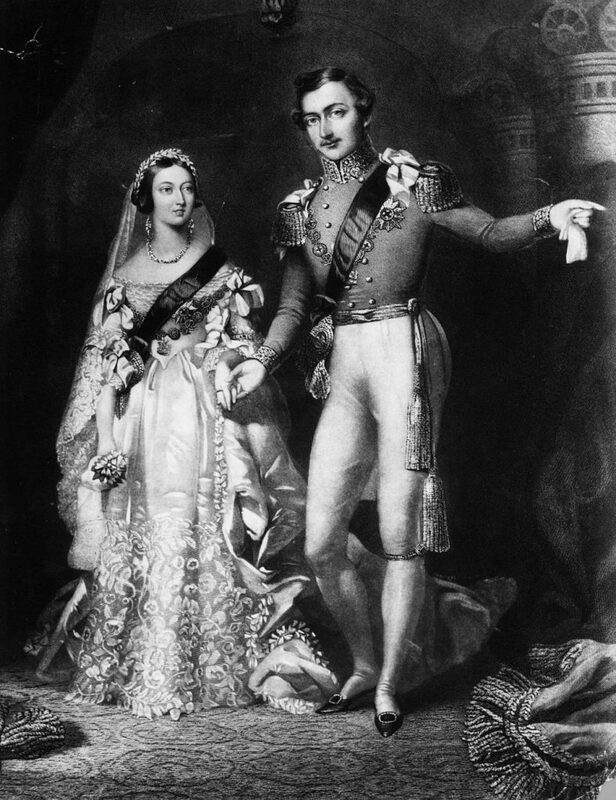 Queen Victoria married her first cousin, Prince Albert, in 1840. The match was considered an exceedingly good one, with the Prince filling the role of companion, advisor, and lover. Queen Victoria’s engagement ring took the form of a snake or serpent, considered at the time to be a symbol of everlasting love and good fortune. Unfortunately, the union was relatively short lived; Prince Albert died of typhoid fever in 1861. The Queen was disconsolate, and wore black as a symbol of her mourning for the rest of her life. Daguerreotype of Honoré de Balzac by Louis-Auguste Bisson (1842). 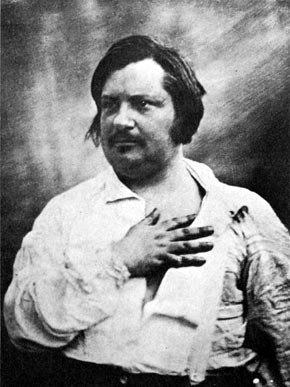 Honoré de Balzac was a famous 19th century French novelist and playwright. He had a long-term love affair with Ewelina Hańska, who he eventually married. In 1832, Balzac received an anonymous letter from “L’Étrangère” criticizing the sexism, cynicism, and atheism in one of his novels. Intrigued, Balzac took out a notice in the Gazette de France hoping to attract the attention of his anonymous critic. As a result, his 15-year correspondence with Ewelina began. 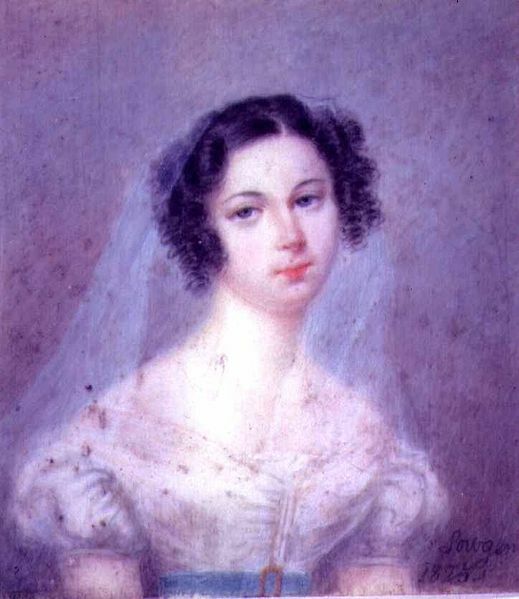 Portrait of Ewelina Hańska by Holz Sowgen (c. 1825). Balzac and Ewelina were finally married in 1850, but like so many romantic tragedies, Balzac died five months later. 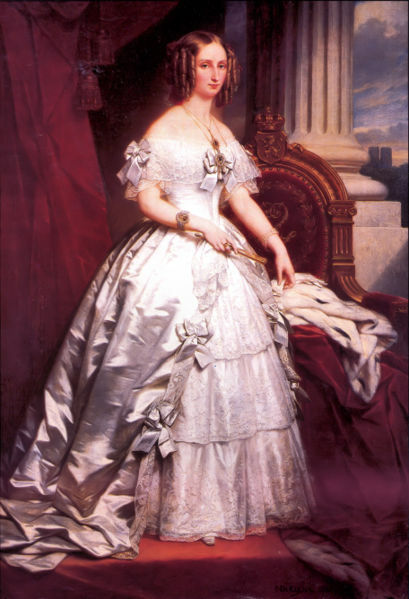 Queen Louise-Marie of Belgium painted by Franz Winterhalter. Louise-Marie was a French princess who became the first Queen of the Belgians upon her marriage to King Leopold I. Since Leopold was a Protestant, they had both a Catholic and a Calvinist wedding ceremony. The marriage of King Leopold I and Queen Louise-Marie was a happy one, lasting eighteen years. When she died of tuberculosis in 1850 at the young age of 38, she bequeathed her wedding ring “being my most treasured and dearest possession” to her beloved husband. Marilyn Monroe with Joe DiMaggio during some of their happiest moments. Marilyn Monroe carries a unique stature among the romances of Hollywood’s golden age. Her relationship with professional baseball player Joe DiMaggio was torrid and often fraught with strong emotional attachments. Although they would divorce, they stayed extremely close and cared for one another deeply throughout the rest of their lives. There were even rumors after Marilyn’s untimely passing that the two had been headed toward a reconciliation. A reproduction of Marilyn Monroe’s famous engagement ring. Queen of Hollywood, Marilyn Monroe received a platinum eternity band as an engagement ring from husband, Joe DiMaggio. 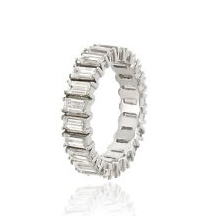 The ring featured channel set baguette diamonds and later sold for $772,500 at auction. 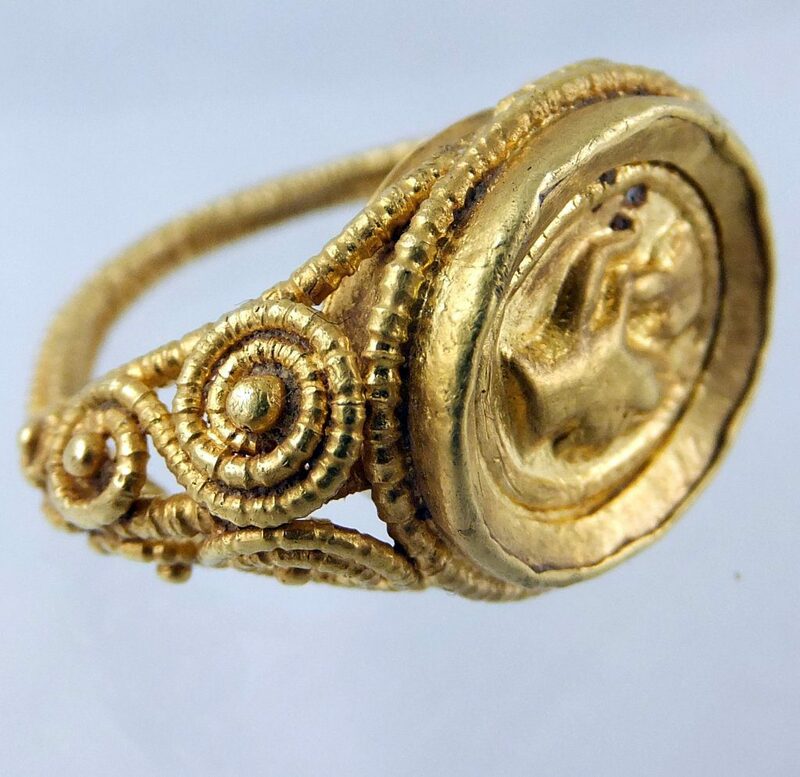 Now that you have seen some famous examples of love rings from history, there are some special ones to learn about in Love Rings in Literature | A Selection from History.